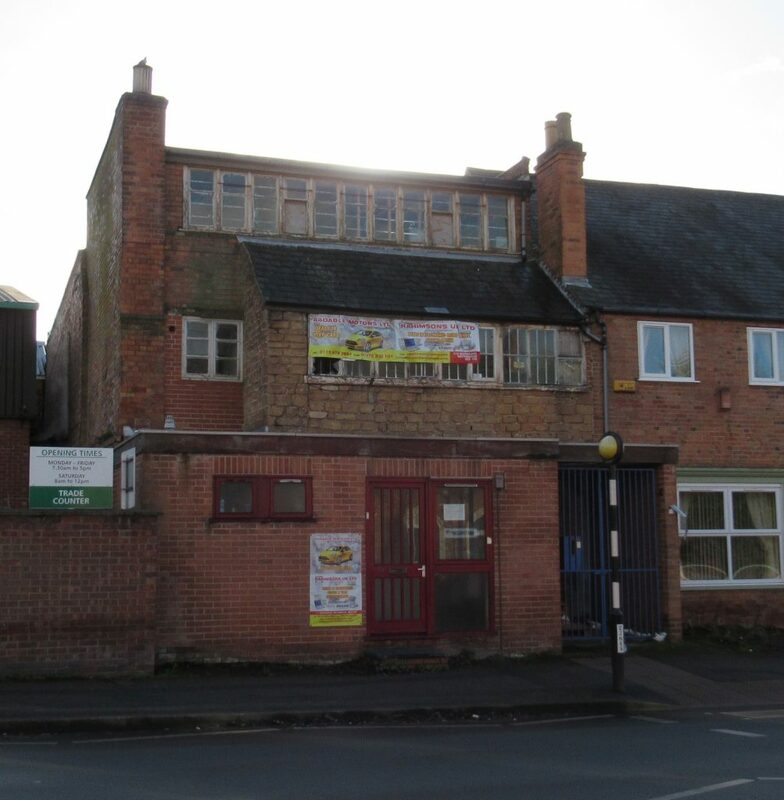 Lawrence George Summers’s Buildings in Sherwood, Carrington & New Basford. In the last blog I found out some more about LG Summers’ family background. This time I’m going to take a look at some of his buildings. Starting from Sherwood, I went for a wander to find some of the buildings designed by Lawrence George Summers which are still standing in Nottingham. 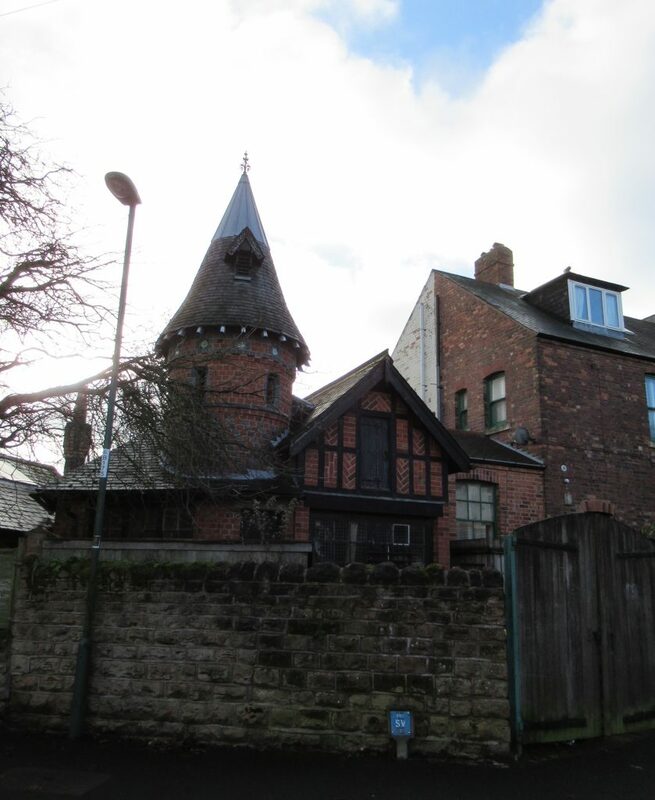 Around the corner from the larger blocks of Fothergill houses on Mansfield Road is a small house on Bingham Road which has characteristics easily mistaken for Fothergill, a decorative turret and a vernacular gable with brick nogging in distinctive red bricks with black timber. Bingham Road, Built 1921. Photo: Lucy Brouwer. But this little dwelling at 16 Bingham Road (LGS25) is the work of Summers. 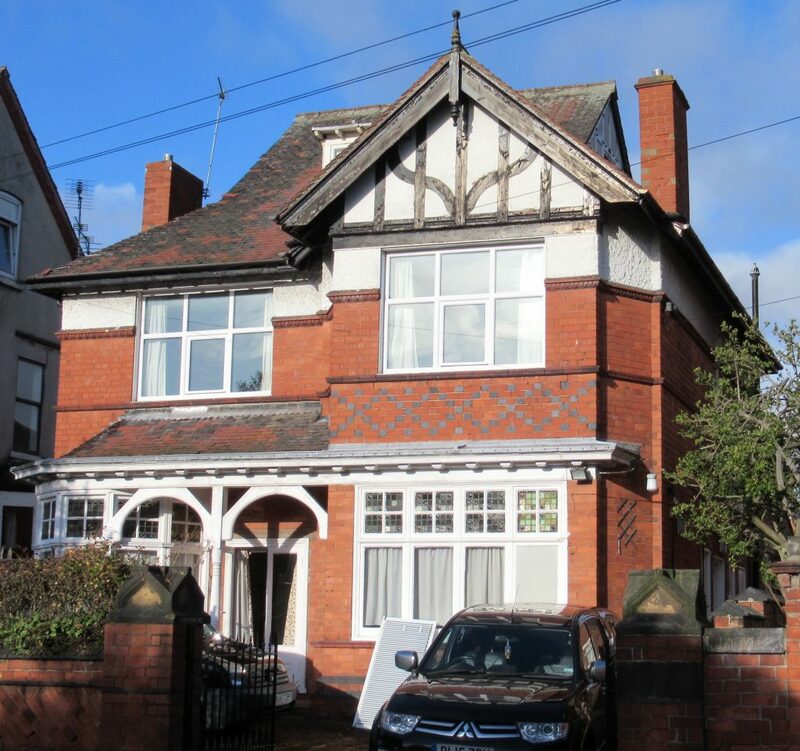 Applying for planning in August 1921, the builder was W Hayes of Mapperley and the client was Mr Thomas M Basnett. It seems that this was on the land that was owned by Fothergill, part of the larger parcel where the Villas of 1906 were built. Turret and gable at Bingham Road showing some familiar motifs. Photo: Lucy Brouwer. A further foray into Carrington and eventually I find the next house on my list, on Herbert Road (LGS12). Little seems to be known about this, other than plans were approved in 1897 and the client was Mr J B Hughes. Some interesting features in the roof line, the brick work and the windows make this house slightly more than initially meets the eye. Herbert Road, 1897. Photo: Lucy Brouwer. The house on Herbert Road is one of several that seem to have been built around the same time, but each has its own idiocyncracies. Photo: Lucy Brouwer. From the back the interesting roof layout is more apparent but the windows have been replaced. The lower roof in front belongs to next door. Herbert Road. Photo: Lucy Brouwer. Not many original features seem to survive in the house on Central Avenue. Photo: Lucy Brouwer. Gilbert Lawrence Summers is listed in the 1911 census as a Sewing Machine Mechanic. Perhaps he was working in the family lace firm in New Basford. 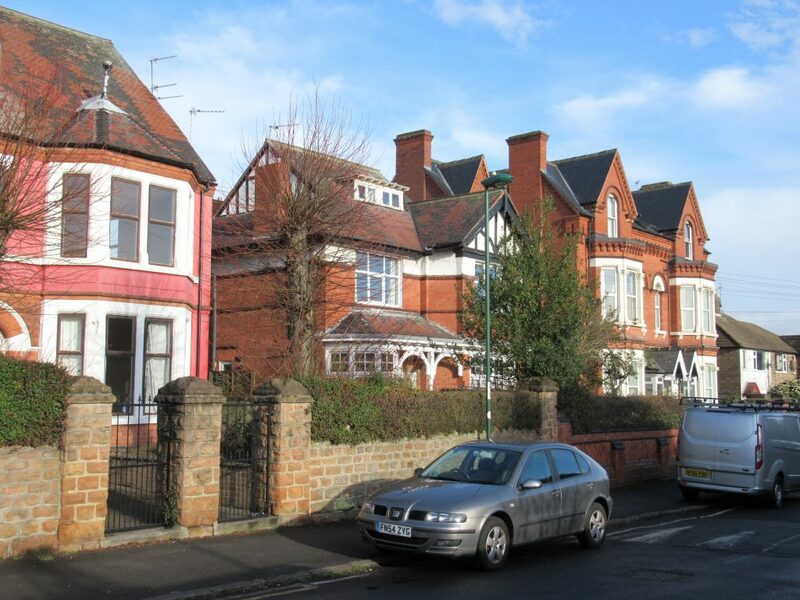 By 1939, when a register was taken, Gilbert appears to be living in Wiverton Road (around the corner from other Summers buildings in Berridge Road) with his wife Lily. 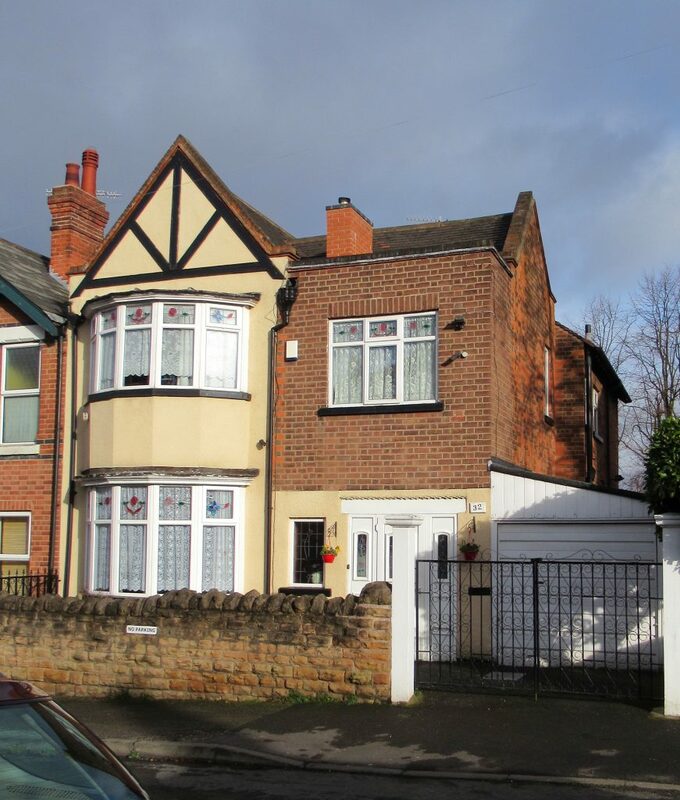 Many of Lawrence Summers’s buildings (at least the ones he signs off himself) were for members of his extended family in the New Basford area. Over on Duke Street, a little further up the street from the site of the house where LG was born, are “Two Cottages” (LGS15). Built in 1899, these three storey houses stand out in a street that is now mostly light industrial buildings and modern additions. The two cottages built by LG Summers on Duke Street. Photo: Lucy Brouwer. 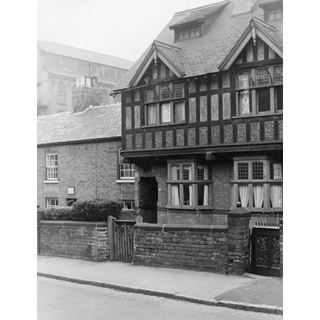 The cottages on Duke Street on Picture Nottingham. It is wrongly attributed to Watson Fothergill (with their standard caption for his work). At the time, Summers was signing himself as “Architect of Corporation Oaks”. In 1881 various members of the Summers family were living on Duke Street. The numbering of the houses has changed and perhaps the old family home was demolished. 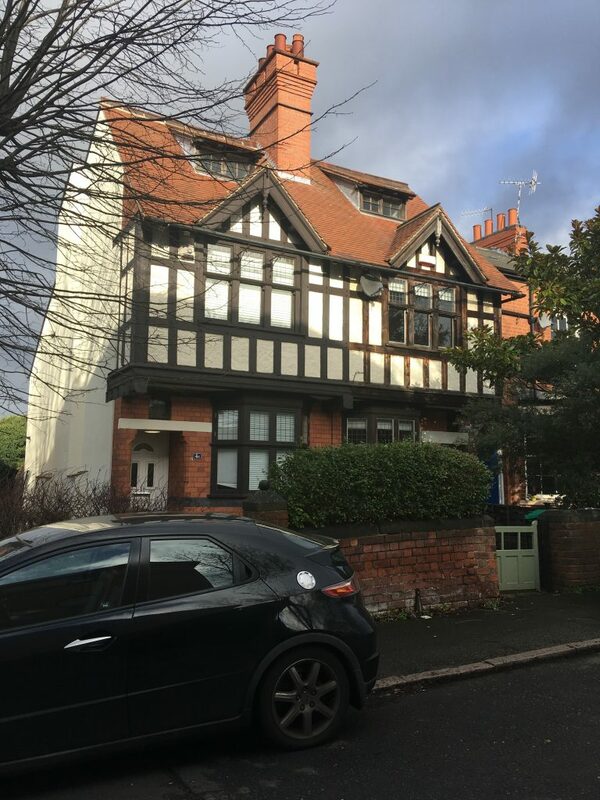 His sister Lola, Mrs Richardson, and her family were living at 2 Duke Street, and his father George Summers with second wife Louisa, plus Lawrence’s younger brothers Frederick and Alexander were next door at number 4. In the 1891 census LG is living with his brother Frederick and his family at number 4, while their father, George, is at number 2 with Louisa and their 9 year old son William. 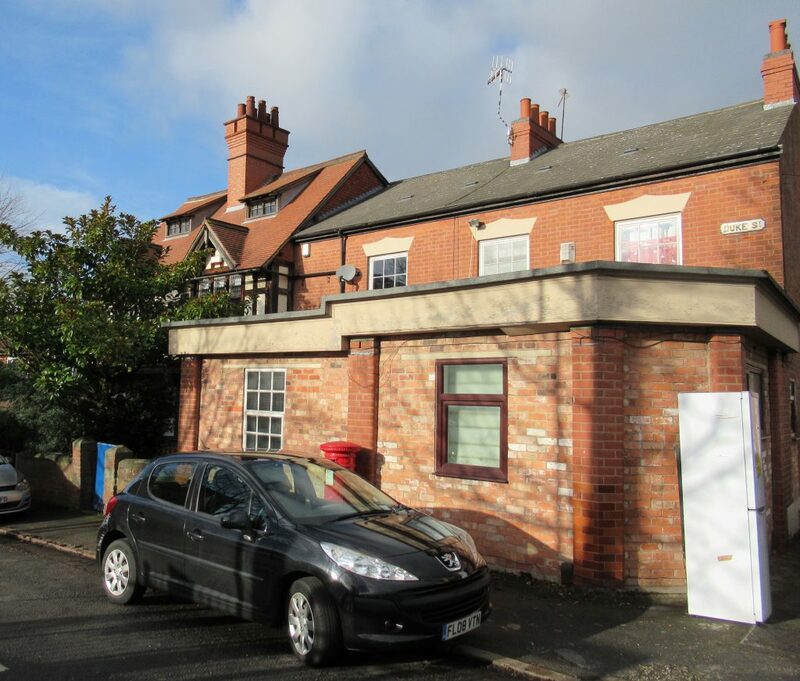 Did they subsequently move up Duke Street to the new cottages that LG designed with himself as the client? In 1910, Summers applied to extend the Duke Street houses into shops (LGS21), again he himself was the client, which suggested that members of the Summers family were indeed living in the cottages. 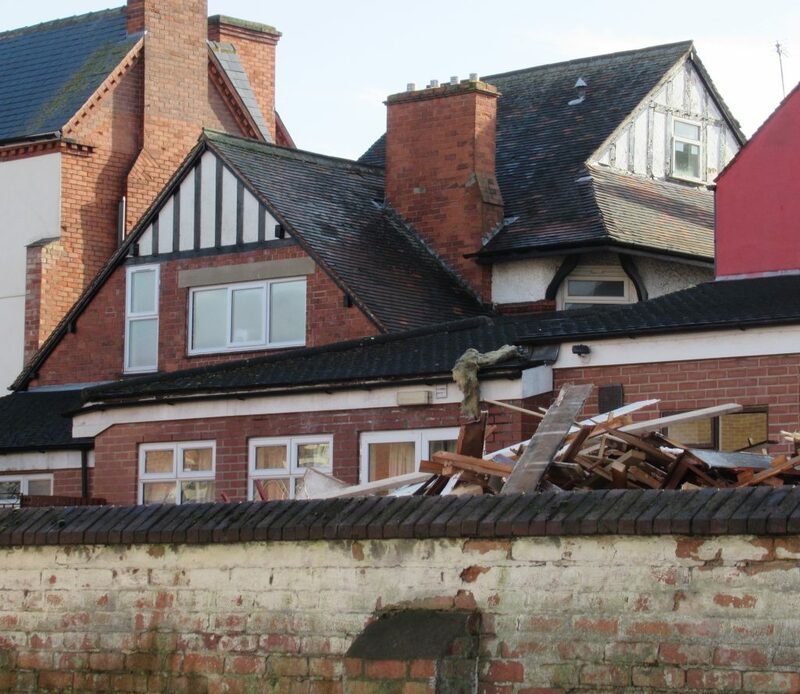 As far as I can tell these are now the adjacent property which has been turned back into dwellings. The shape of the shop fronts remain, albeit much altered. The extension, originally shops, on the corner of Duke Street and Gawthorne Street. Photo: Lucy Brouwer. Lawrence’s youngest brother Alexander was still living in New Basford in 1901 and is listed on the census as a Pork Butcher and Shopkeeper, so perhaps the shop was his? Following the road, past what are now mostly motor garages in older industrial buildings, some dated 1840s and some 1870s, an indication that this area was already industrial at the time the Summers family lived here when Lawrence was a child. His father’s lace business was almost certainly here. Down at the bottom on Northgate, it is just possible to recognise the small two storey factory (LGS3), that Summers designed for James Allen in 1882. Northgate factory premises. A fairly basic version of the lace top shop perhaps? At this time Summers is signing himself as “Architect, 11 South Parade Nottingham” (South Parade makes up the side of the Market Square that runs up the opposite side to Long Row). Summers was admitted to RIBA in 1881 but isn’t using letters after his name at this point. It is assumed he was in the Clinton Street office with Fothergill from around 1879, having also been articled as a pupil to Issac Charles Gilbert from 1869. (His studies at the Mechanics Institute and Nottingham School of Art were running concurrently). 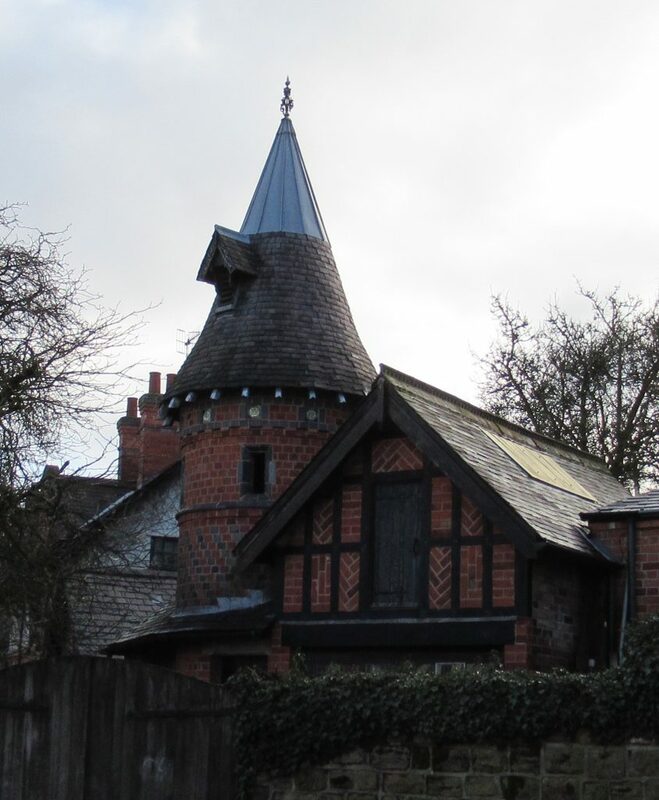 I hope to organise a walk featuring some of Fothergill and Summers buildings in and around Sherwood, Sherwood Rise and Mapperley Park later this year – sign up to my mailing list for the latest news or “like” the Facebook page. Previous postMore about Lawrence George Summers.